We at Immaculate Conception Catholic Church express our condolences to you during this time of sorrow. Please know that we have been praying for you and your loved one. The Catholic Funeral Rites in the Order of Christian Funerals (1989) are celebrations that enable the Christian community to mourn as well as to hope by focusing on the mystery of the death and resurrection of Christ. These guidelines are offered to assist in effectively preparing the funeral rites and Burial of ashes with individuals and families. In no way are these meant to complicate an already difficult experience. When cremation of the body has been chosen, the ashes of the faithful must be laid to rest in a sacred place, that is, in a cemetery or, in certain cases, in an area, which has been set aside for this purpose, and so dedicated by the competent ecclesial authority. For the reasons given above, the conservation of the ashes of the departed in a domestic residence is not permitted. Only in grave and exceptional cases dependent on cultural conditions of a localized nature, may the Ordinary, in agreement with the Episcopal Conference concede permission for the conservation of the ashes of the departed in a domestic residence. Nonetheless, the ashes may not be divided among various family members and due respect must be maintained regarding the circumstances of such a conservation. A parish priest/assistant priest will meet with the family to prepare the Funeral Mass. He will explain the meaning and significance of a Catholic Funeral Mass. Floral arrangements are welcome, but should not take president from the liturgy itself. Recorded music or non-worship music may not be used within the Funeral Mass. Appropriate recorded music can be used at the wake and at the cemetery. Liturgical music, appropriate to the liturgical season, and the funeral rite may be chosen. The role of organist, cantor and choir is to assist the congregation in singing the Mass. Family members or friends who wish to participate at the Funeral Mass should be familiar with the structure of the Mass and consult with the priest preparing the Funeral Mass. Family member or friend may speak (eulogy) briefly before the "Final Commendation" when invited by the celebrant to offer some words of remembrance. The brief words need to be prepared. Spontaneous remarks can be offered at the luncheon afterward. 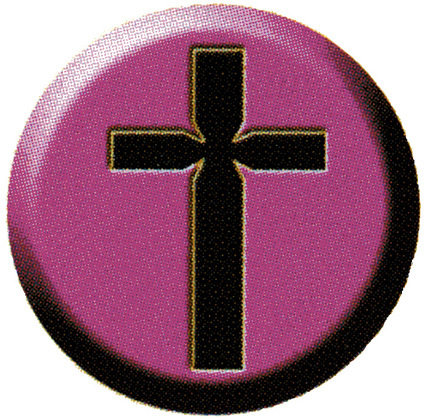 Non-religious symbols may not be displayed in church at the Funeral Mass. If the family of the deceased requests a guest priest to be present at the Funeral Mass, the parish priest from Immaculate Conception is to be informed. A guest priest is always welcome to concelebrate. At the discretion of the parish priest the guest priest may be permitted to give the homily or final commendation and lead the committal service at the cemetery.